(Almost all) Europe in Coimbra. 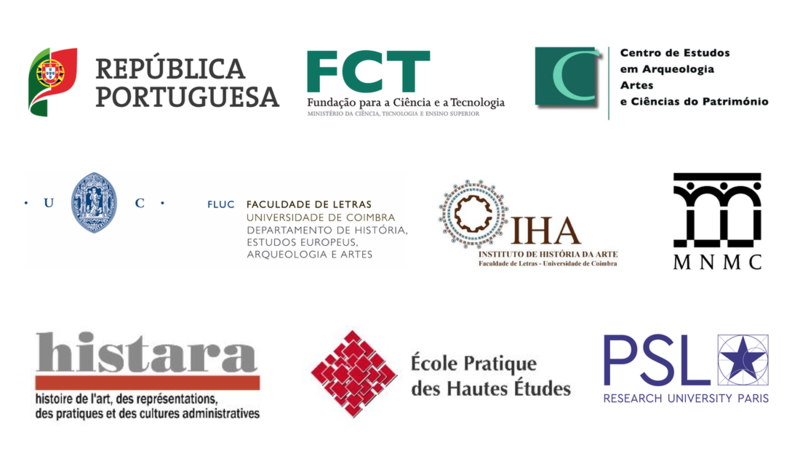 The Group of Multidisciplinary Art Studies (GEMA) of the Center for the Studies of Archeology, Arts and Heritage Sciences (CEAACP) of Coimbra University, in collaboration with the Institute of History of Art of the Faculty of Humanities of the University of Coimbra and the École Pratique des Hautes Études (Sorbonne, PSL, équipe HISTARA 7347), is organizing the Colloquium (Almost all) Europe in Coimbra. Rule and hybridism in Jean de Rouen's sculptural production, to be held in Coimbra (Portugal) April 26-28, 2018. The Norman Jean de Rouen established in Coimbra the most dynamic sculpture workshop of Portugal in the 16th century. Always working the regional limestone, his production covered an anatomical treatment of the body as well as ornamental motifs taken from several sources, along with the scientific exercise of perspective and the creation of a spatiality according to the theoretical foundations of Christian Humanism. The constant duality between the sculptural work and the construction of an architectural space consecrated him within the occupational category of the sculptor-architect, so appreciated within the artistic practices of the Europe of his time, and elevated his work to the statute of "aggiornamento" searched by the erudite and powerful elites. The circulation of works of art and artists in a larger European context encourages the reproducibility of shapes and conceptual models in a universe marked by the dynamic of political, diplomatic, commercial and artistic relations. It doesn’t exclude neither the capability of systematic readjustment to a peculiar creative atmosphere nor to the alternative directions imposed by elements alien to the work. The interaction developed between different cultural geographies, like Normandy, the French territory, Italy, Flanders, Spain and Portugal, will be the support for a research aimed at the interpretation of the work of Jean de Rouen, particularly in Coimbra. 2. Working Conditions and Artist Social Status. The conditions of the work of the sculptor are essential for the decoding of the nature and the results of his work. The management of the hierarchies implemented in the workshop or the relations with a commission, interfere with the creative process and show the degree of more or less independence within the social and labor circuits. 3. Sculpture and Architecture. Areas of Contamination. To plan shapes and volumes and to sculpt the space are core ingredients in Jean de Rouen’s production. In the scientific culture of the time, rendering of perspective and the techniques over stone work, bring specific results in sculpture and in architecture, with both severity and flexibility as possible outcomes. Nevertheless, sculpture contaminates architecture and viceversa. Thus, the infiltration of hybrid motifs in the compositional structure could be understood as the action moving an idea of cosmic totality and harmony. Furthermore, the historiographical subtle line dividing Humanism from the positions aligned with the Catholic Reformation is diluted in the observation of the work of Jean de Rouen, always influenced by the multiple interferences that guide them. 4. Identifying Jean de Rouen. In the immense production coming from Jean de Rouen's workshop, to identify the various "hands" in the artistic work continues to be a very difficult challenge for the historiography. Most of the time, without a more detailed analysis of such diversity, the solution is to assign these pieces to the "School of Jean de Rouen". To identify different sensibilities or alternative technical capabilities could be a good start to begin a new reading of the (still) enigmatic Jean de Rouen. Please send abstracts of no more than 400 words (20 min. presentation) and a short biographical note (300 words) to coloquiojoaoderuao@gmail.com no later than January 28, 2018. Abstracts and papers may be presented in Portuguese, Spanish, English and French.